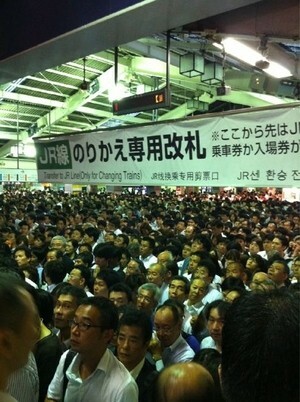 BREAKING NEWS: Typhoon Hammers Japan, Spreads Radiation to Tokyo? 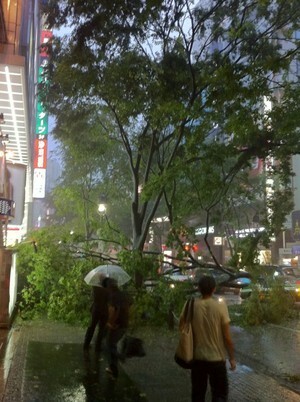 Today, Japan got hit with a major typhoon (a typhoon is just another name for a hurricane). Photos here and video here. 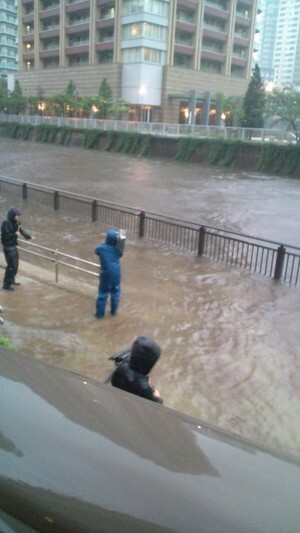 Nearly 260,000 households in central Japan were without electricity, and authorities called for more than a million people to be evacuated in central and eastern Japan. 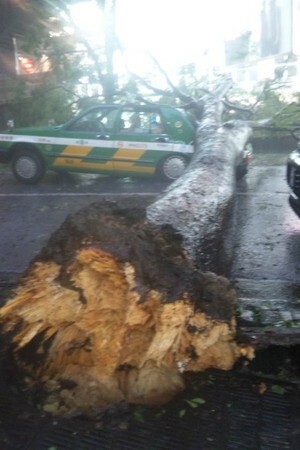 The storm, packing sustained winds of up to 144km/h, made landfall in the afternoon near the city of Hamamatsu, about 200km west of Tokyo. A powerful typhoon slammed into Japan on Wednesday, leaving 13 people dead or missing in south-central regions and halting trains in Tokyo before grazing a crippled nuclear plant …. 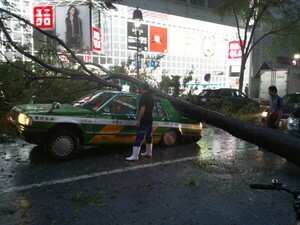 Typhoon Spreading Fukushima Radiation to Tokyo? 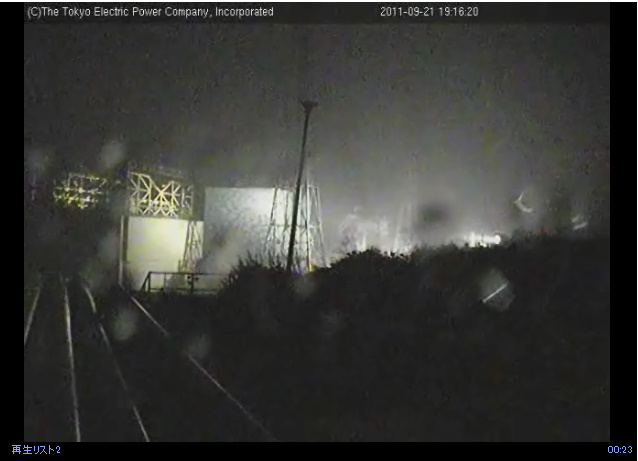 The leaking Fukushima nuclear power plant avoided a direct hit (a broken video camera is the only damage reported by Tepco). Workers were trying to prevent pools of contaminated water from flooding and leaking outside the complex, said Junichi Matsumoto, another power company spokesman. “The contaminated water levels have been rising, and we are watching the situation very closely to make sure it stays there,” Matsumoto told reporters. 18:58 9/21/2011,Typhoon is almost right above this PC,in Yokohama. 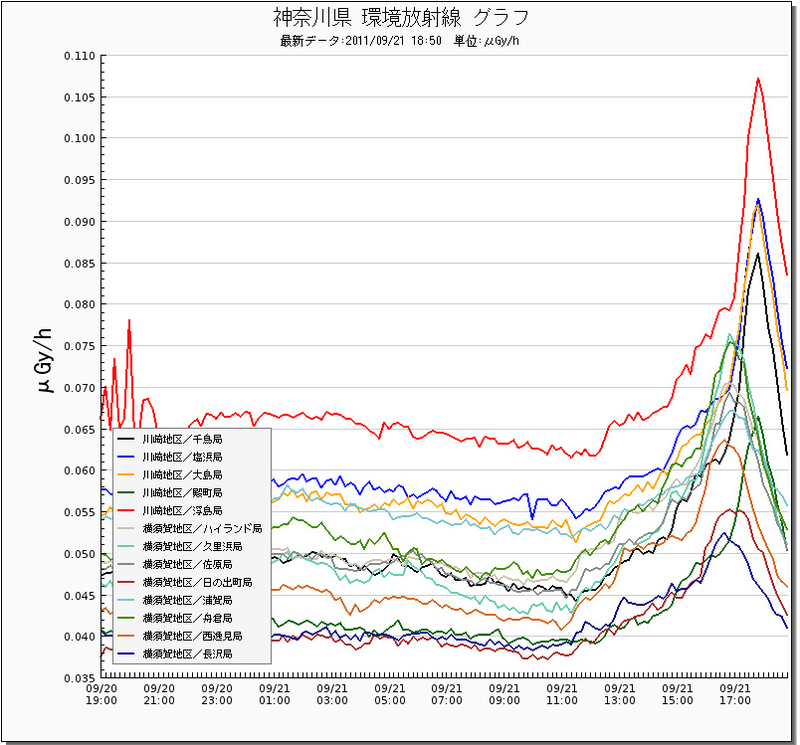 Radiation level is spiking up around in Tokyo and Fukushima. 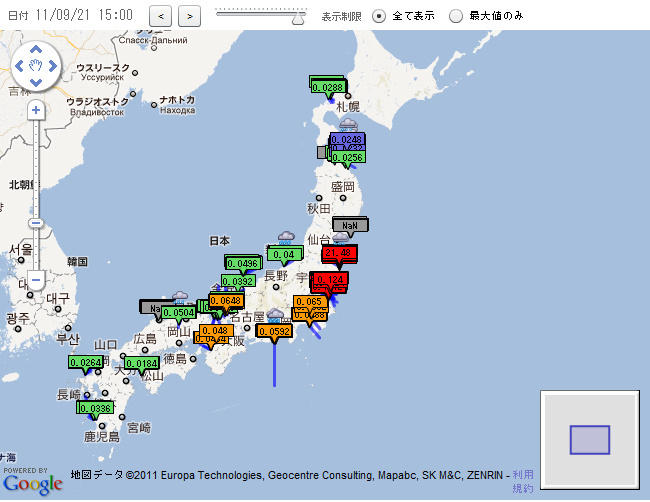 In Futabamachi,Fukushima,it’s 21 uSv/h now. Wind is blowing from South to North, and it’s very salty. 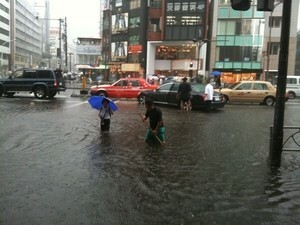 It’s assumed typhoon is spreading the sea water around. Radiation is assumed to have come from the sea. One thing I’m sure is,I should have evacuated way before. As I noted last week, some areas of Tokyo have more radiation than in the Chernobyl exclusion zone, and evacuations of Tokyo have been discussed by the government and experts.